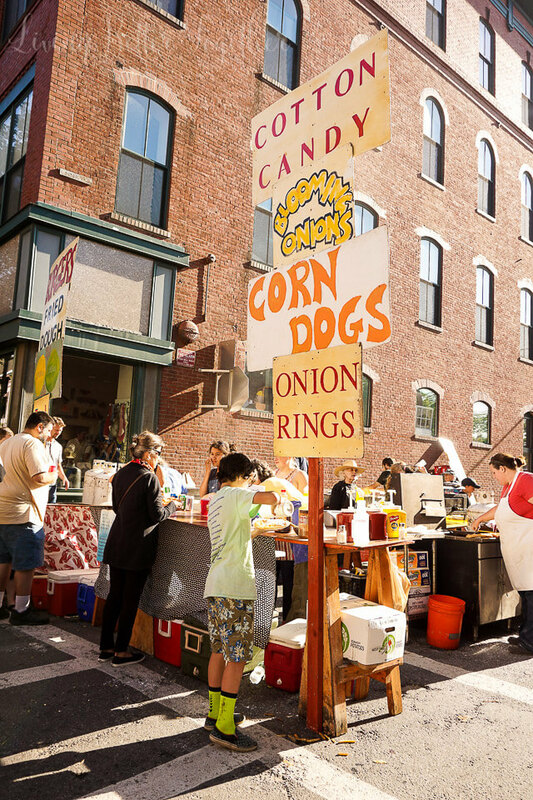 Hit the road for a day trip to Rockland, Maine. 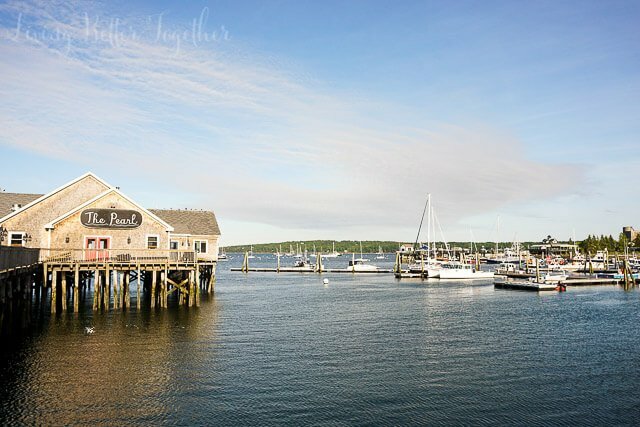 What to see, do and eat in this beautiful coastal town! Now that summer is finally here and I’m settled in from traveling to Europe and Oregon, it’s time to venture around my own state. 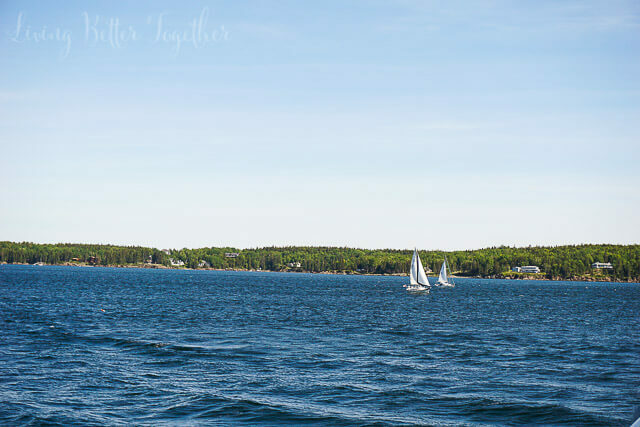 On Saturday we decided that taking a day trip to the coast would be a good way to kick our Maine summer travels off. But here’s the thing, with all the cold weather we’ve had there hasn’t been much opportunity to roll down the windows and get some fresh air in the car. 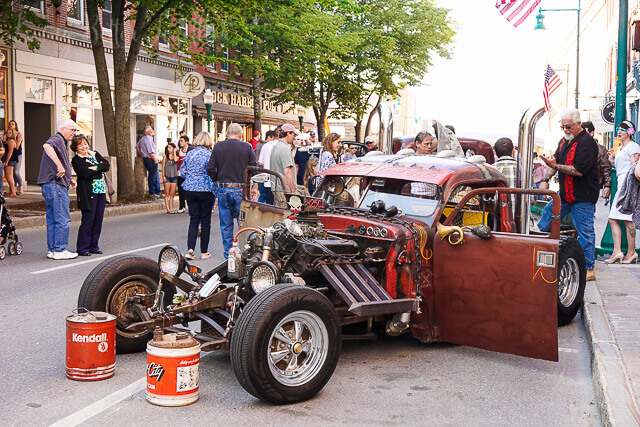 So now that we’ve got some day trips on the calendar, it’s time to freshen the thing up and hit the road. 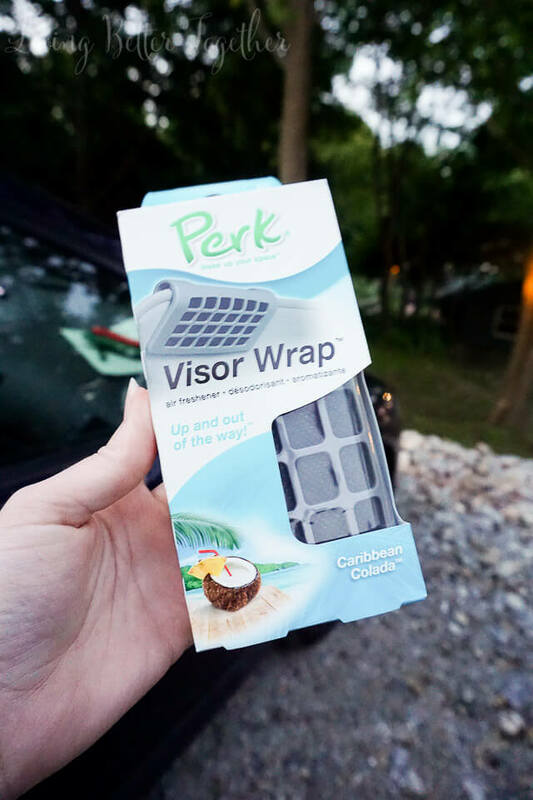 We love the PERK Visor Wrap because they have a contoured grip that allows them to easily clip on the visor and StediScent™ technology delivers consistent fragrance that’s as strong the first day as it is the last. Matt loves the Caribbean Colada and I’m a fan of the Summer Berries, but you gotta love that Golden Vanilla and New Car. 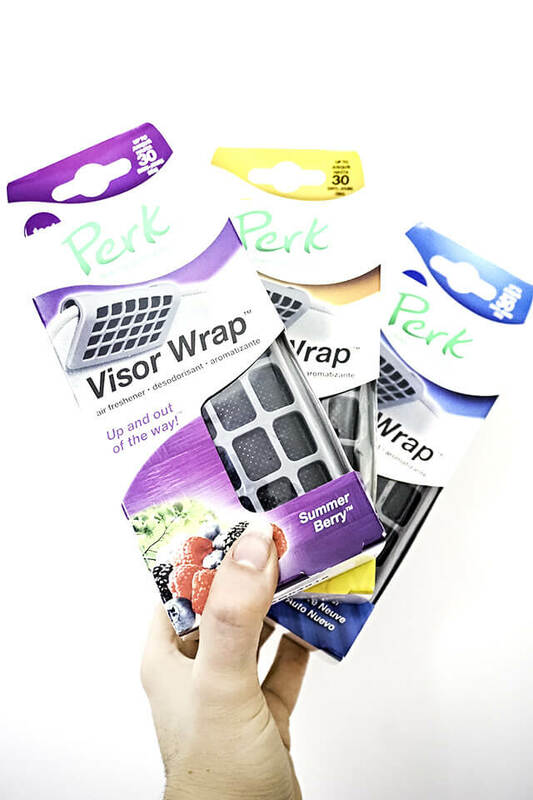 I love that PERK fresheners clip right to the visor so they’re out of sight and out of mind, other than the fantastic fragrance they give off. They don’t spill or leak and they don’t disrupt your visors capabilities in terms of movement. 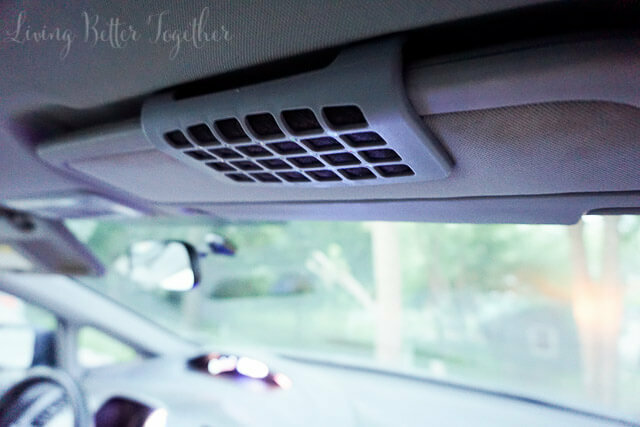 PERK products can be found at Walmart, Target, Advance Auto Parts, AutoZone, Meijer, Kroger, Pep Boys, Publix, CVS, and other places auto air fresheners are sold. Use this $1 off PERK coupon to save some cash to spend on something fun! 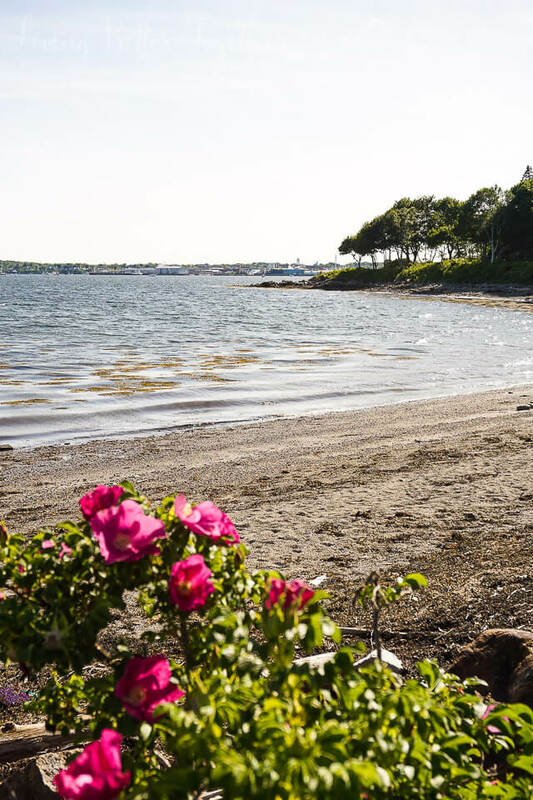 So now that things smell good, we can put on a good audio book and head for the coast. 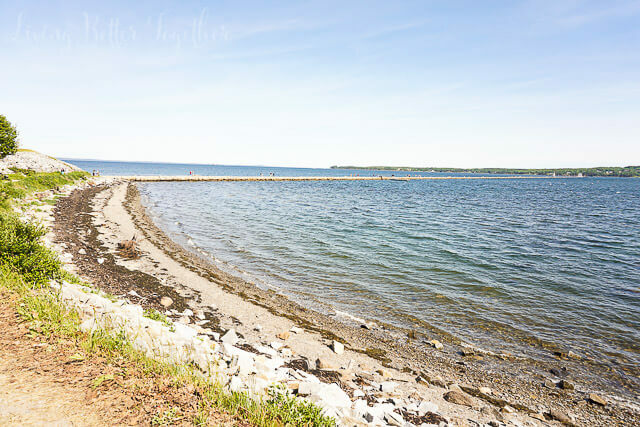 We headed to Rockland for a beautiful walk on the breakwater out to the lighthouse. It’s such a nice place to catch a quiet moment and chat about life. There’s just something about the ocean and the crashing of waves that really calms the heart and mind, you know? 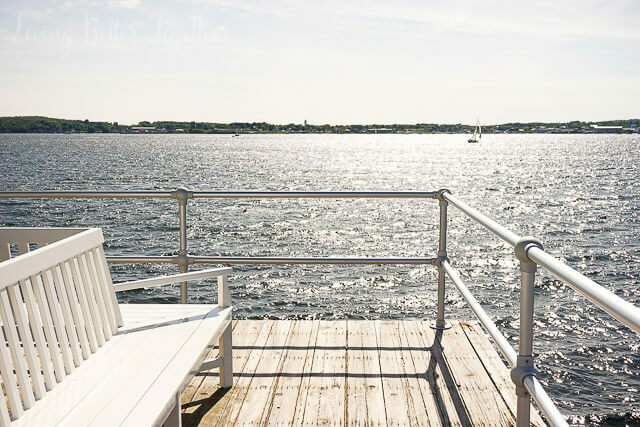 The breakwater was built before the lighthouse in the late 1800s to help protect the mainland from severe storms. 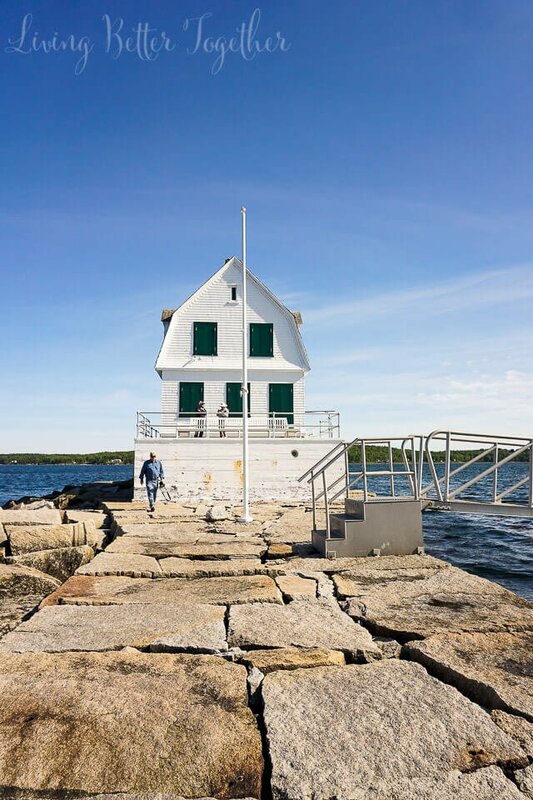 The lighthouse was completed in 1902 and restored in the early 2000s by the Friends of Rockland Harbor. 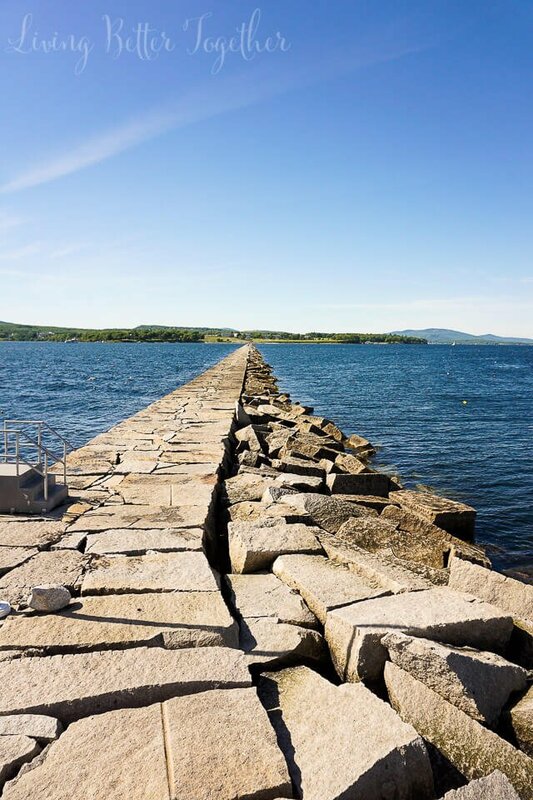 The breakwater is 4,346 feet long, so it’s about a 2 mile round trip. But so worth it! 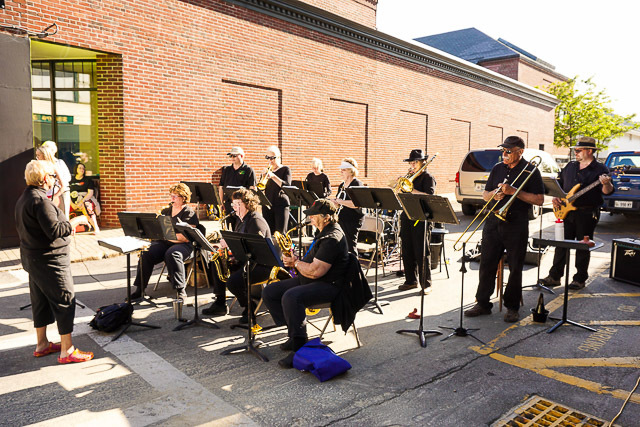 After our lighthouse adventure, we headed into downtown and accidentally ended up at the Summer Solstice Festival. 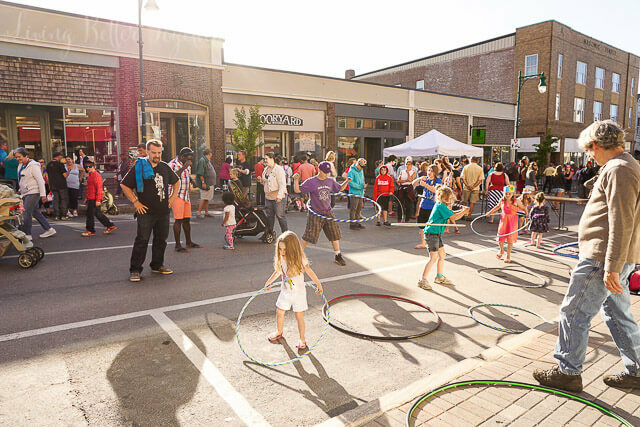 Main Street pretty much gets shut down and there’s food, street performers, and face painting. Families are just out and about having a great time in the summer sun. Kids were hula hooping and the band was playing. 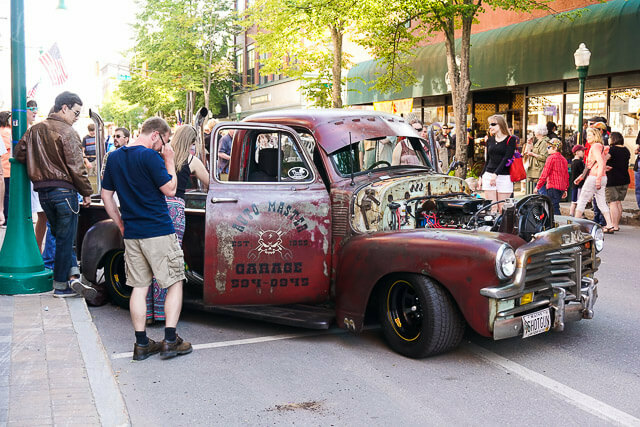 It was a classic street festival and everyone was having a good time. 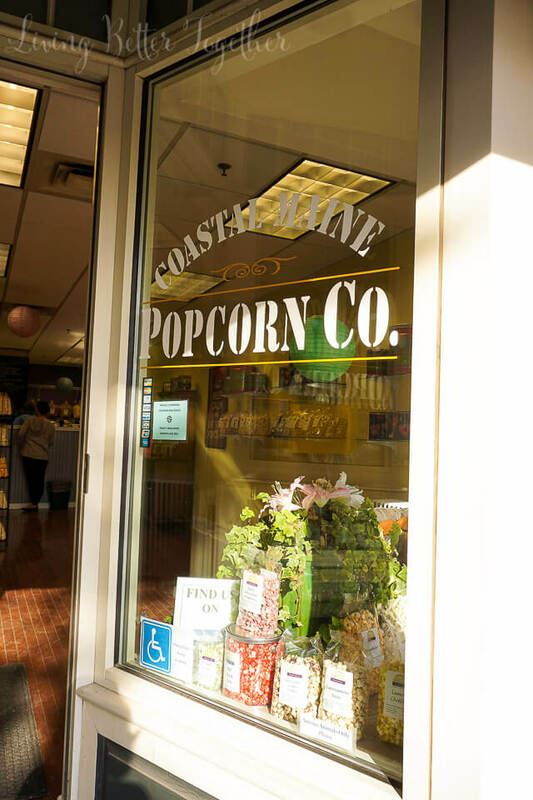 We had to make a stop into Coastal Maine Popcorn Co. to grab some gourmet flavored popcorn. They have over 30 flavors in their shop and we got the Sweet Coconut Curry, Marshmallow Krispy Treat, Lemon Chiffon, and Cinnamon Roll. 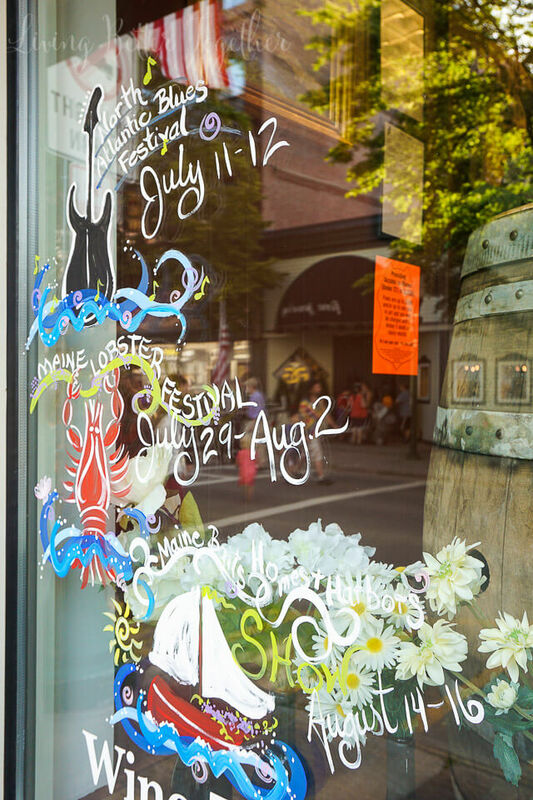 There’s tons of great shops along the strip as well as fantastic restaurants with a little something for everyone. 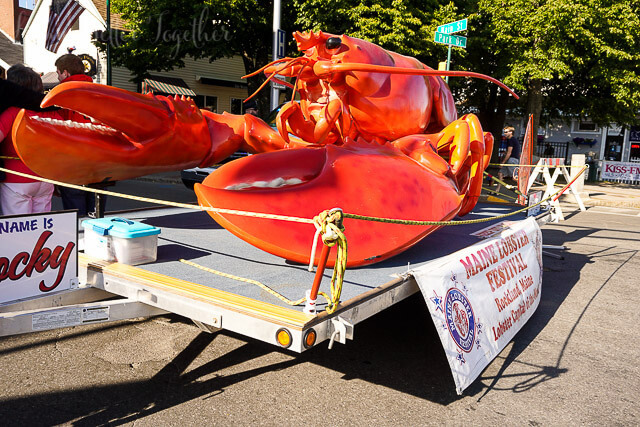 The Maine Lobster Festival is coming up July 29 – August 2 and it would be a great time to visit this little coastal town! 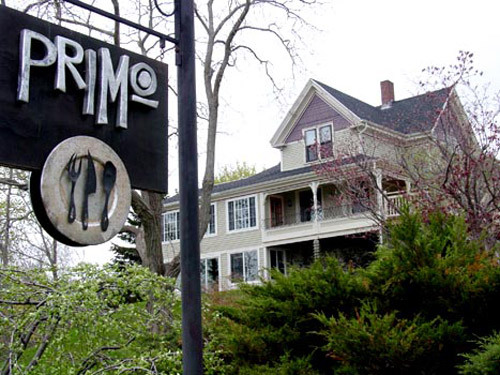 Our last stop of our day trip was Primo Restaurant, owned and operated by James Beard winning chef, Melissa Kelly. 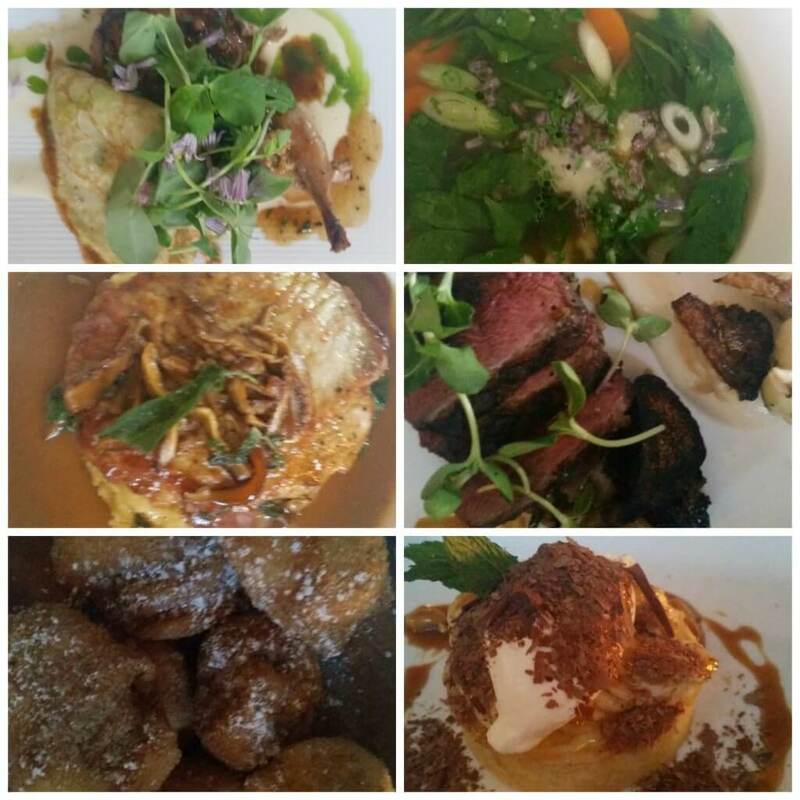 Primo is a farm to table restaurant that is “worth the drive from anywhere”. It’s beautiful gardens outside and beautiful asthetics within make it a comforting dinning experience. 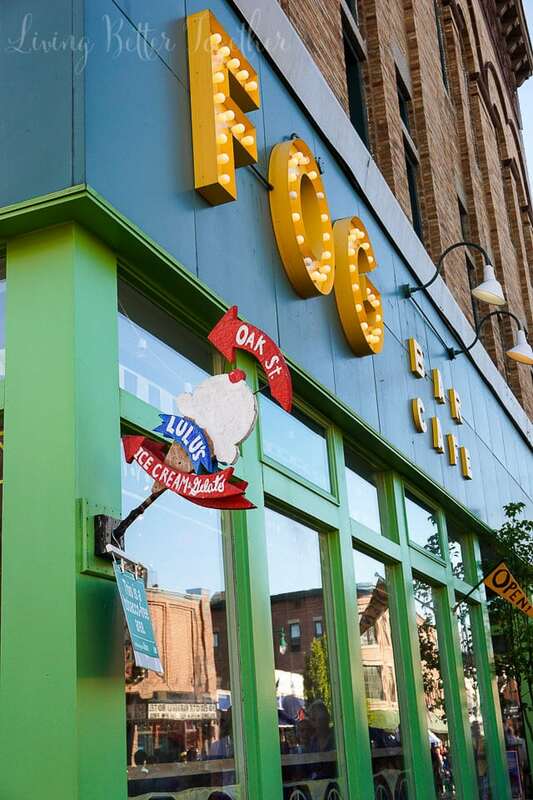 The food is top notch, but the dress code is a “come as you are” sort of deal. You won’t look out of place whether you’re in shorts and a tank top or a top hat and heels. This is my kind of restaurant. You might also recognize this restaurant from Anthony Bourdain’s trip to Maine in No Reservations a few years back. I, of course, took photos of everything we ate! Matt had a Quail with a Sweet Pea and Chive Crepe for his app, the Pork Saltimbocca for dinner and the Zeppole for dessert. I had the Passatelli Soup for my app, the Moulard Duck Breast for dinner, and the Caramelized Banana Cream Pie for dessert. Everything was delicious and I loved seeing all the tables around us get their food because it all looked amazing! Definitely worth a stop if you’re in the area. 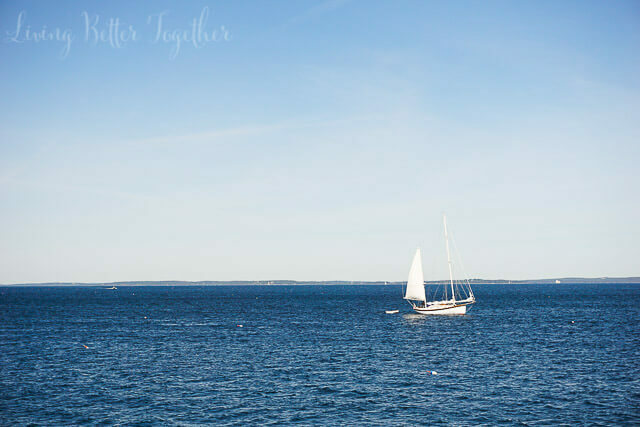 I really enjoyed reading your post and what fabulous photos! I want to go visit there!! Wow, what a beautiful area! 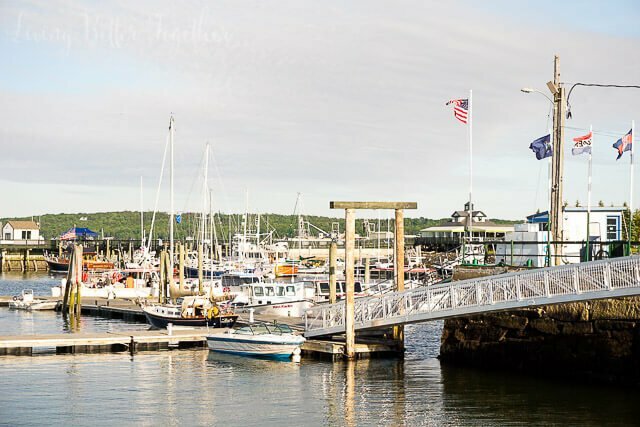 I have always wanted to visit Maine– all the pictures are so incredible! We visit Maine quite a bit. I’ll have to look up and see if Rockland is anywhere w/in driving distance of where we vacation. How fun to have just stumbled on that festival! Looks so beautiful. I would love to visit sometime! I LOVED all the pictures! I want to visit! We have this and they are fantastic! looks like a beautiful place to visit. Love the idea of the visor wrap too, so clever! I know, right! I hope you get the chance to visit someday! It’s beautiful here! These are fantastic and your photos are beautiful. I followed you on Instagram, but wouldn’t’ give Gleam access to my account.